Scroll down to find a list of some of our most popular menu items. These sample menus change each season, ask us how we can customize a menu based on your needs! Click here to see a sample of our most popular Breakfast offerings. From Pastry trays to Granola Parfait bars, we know that the best foot forward to your day is a substantial breakfast. All options customized for your group. From Light and tasty to hearty and healthy, impress your client at the next Lunch and Learn presentation, poolside BBQ, or Birthday celebration. Our lunch options are prepared with seasonal and local ingredients, ask about custom boxes for your allergy and nutrition needs. Nobody can box up a party like we can! 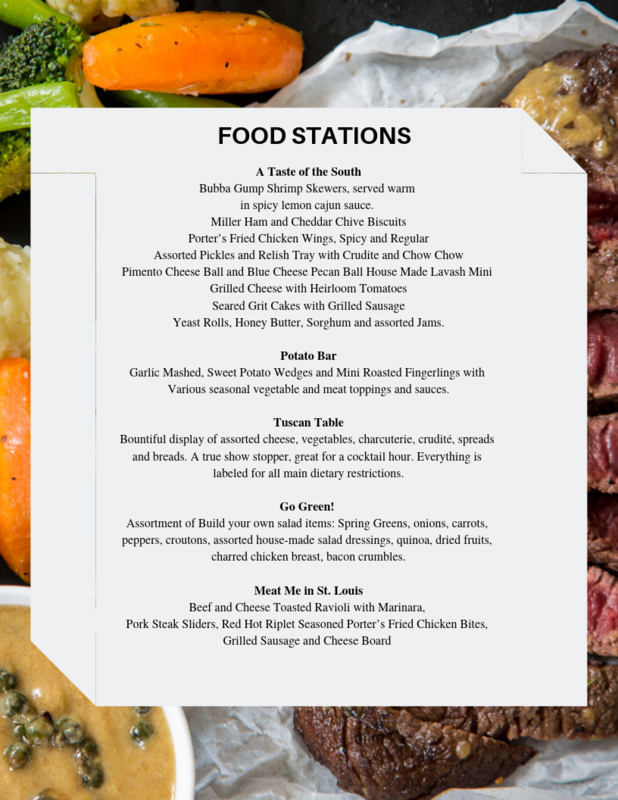 Let Bistro St. Louis deliver to your next corporate or office luncheon, board room presentation or picnic delivered on site to the place you will be eating. Ask about our custom box lunch options. Food Stations Keep everyone at your party moving and having fun. Its a great way to taste a lot in a petit bite. 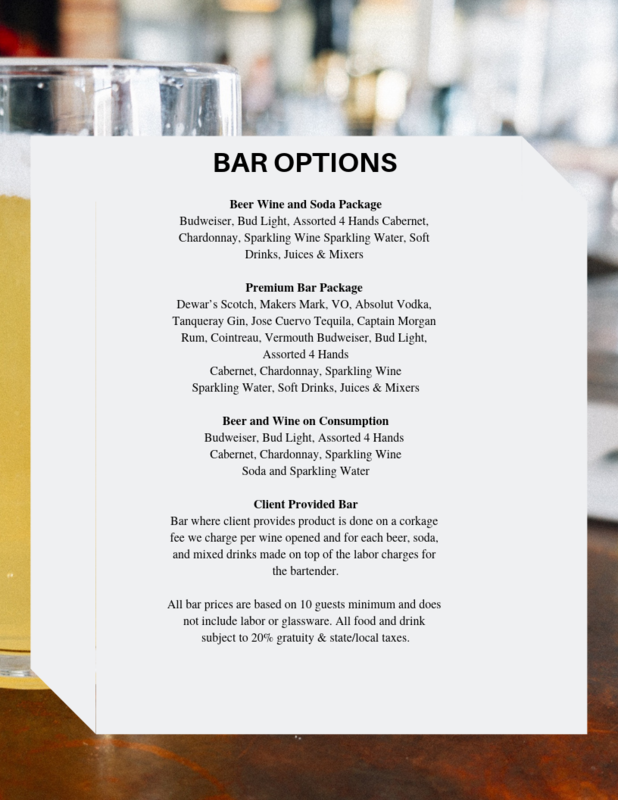 Add a bar option to your party to keep your to do list worry free. Special requests? Just ask! a photographer to catch the action? check check.